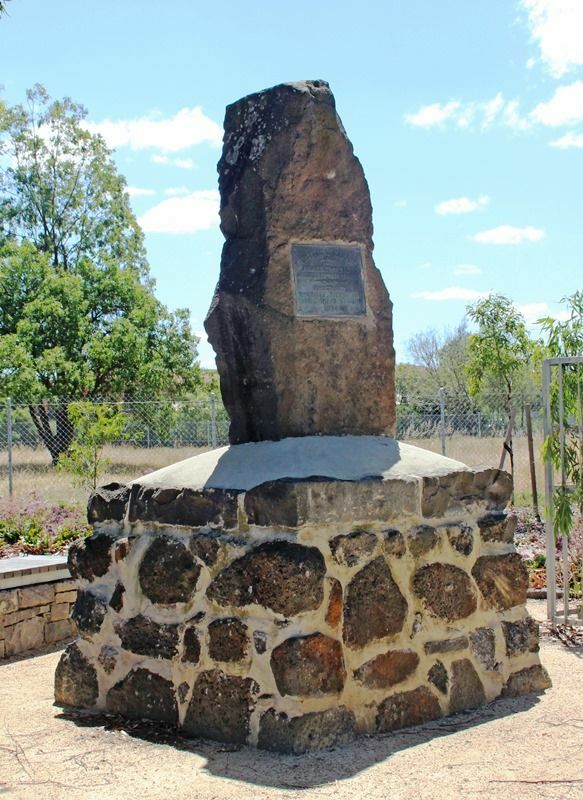 A monument commemorates the centenary of the Hume and Hovell expedition which passed through Deer Park in 1824. 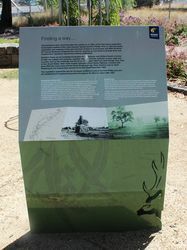 The cairn was unveiled on the 19th December 1924 by a niece of Hamilton Hume. 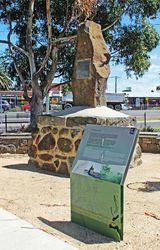 Memorials to the explorers Hume and Hovell were unveiled yesterday by Sir J. Barrett at St. Albans, Deer Park and Werribee. 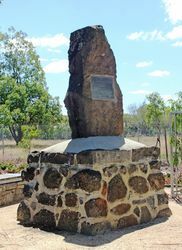 These were the last of the large number which have been erected recently in Victoria along the route traversed by the explorers in 1824. Sir J. Barrett was accompanied yesterday by Mr. Long, of the Education department, and Mr. Hansford, of the Lands department. Passed this spot about December 19th 1824. 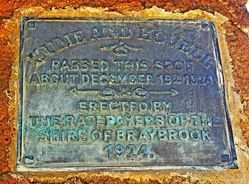 Erected by the ratepayers of the Shire of Braybrook.